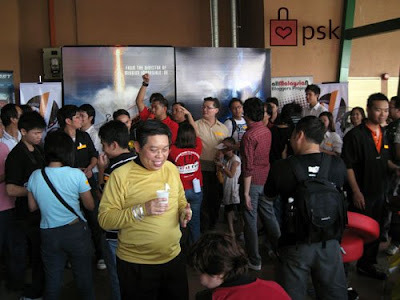 I was at 1utama for The Star's Newspaper's AMBP Star Strek Event (wow long name) from 1.3-pm - 9.30pm. It was a really tiring day and in between breaks I went to check out Stila BU bought some Stila tin cans. Behold the picture below! 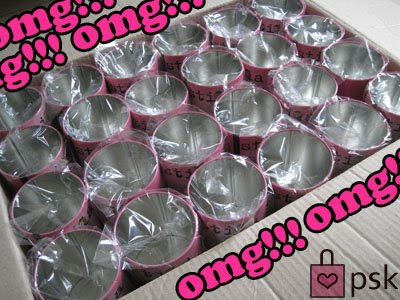 my pink tin cans which will be given free as part of my 1 year Blog Anniversary Party Giveaways! I'm still planning the big bash not too sure if i should have a mini party or a movie party or just a blog contests to celebrate it. What do u think? And if you're not a One Card member yet, u can get a free 3 year One Card membership too with purchase of rm200 and above. 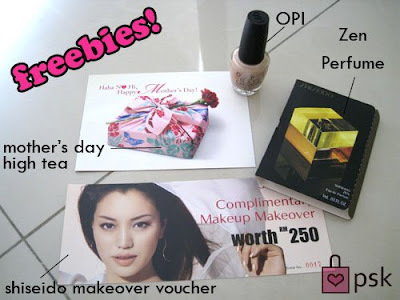 A free Shiseido Makeover Voucher, a Mother's Day High Tea invitation (which is so stupid bcoz when i read it, it says need to RSVP upon receiving the invite at the cus service counter. When I went to RSVP, they ask me to call/email, so utter BULLSHIAT. It states on the invite I can RSVP at the customer service counter! 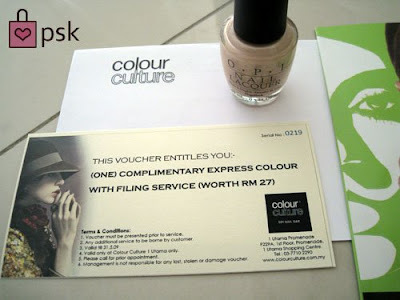 blah nvm I'll email then), an OPI nail polish worth rm59 free and a complimentary nail color and filling service worth rm27 free too! Update: Wow very fast confirmation from Josie confirming I am in for the tea party. 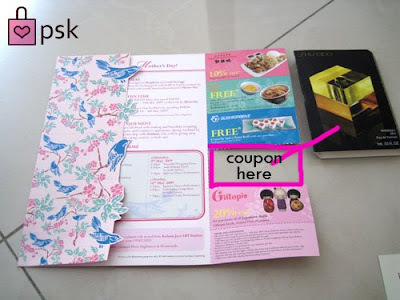 It's only for the first 100 eligible shoppers (Female) only. First come first serve. Take hom fabulous door gifts, win prizes in our sushi eating competition. Fun & enjoyment awaits you. There are loads of great prizes for lucky draws! Thank you for your RSVP. Please be advised that per invitation per person which we have included your name. i recommend the mini party or movie party! lets meet up...all of us..wow! or maybe we can do potluck ke? a pot luck sounds good! oh and we can bring out stila stuffs to do trades also! diana: :( oh no.. u missed it.. but definitely lotsa people :( carpark also crazy! in n out! i checked out klcc outlet. cans are still available.lot of them even got the pink one. miu ar....stila still many stuff mah since is MONTH MAY liao.....very soon leaving us liao sob sob smudddgeee pot byebye >_<""
WOW pinky stila cans! massive. Jamie...I would love to see this horse shoe you carry around for luck and do you gain all your strength back drinking from those Pink Stila tin cans?? How about a mini-movie gathering? Dats more affordable than mini party. I spend like RM 700 on optical in one of the One Card participant outlet... should just go and claim that freebies... Miu... Do you know until when this will end? Haha NoHi, Happy Mother's Day ! Celebrate this Mother’s Day with a Japanese Fair at 1 Utama. Show mum you care with special treats, entertainment and even unique Furoshiki wrapped gifts today!